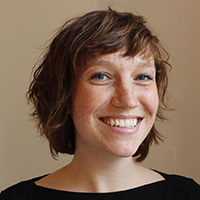 Hannah Girardeau is the Program Coordinator for the Energy Access Project at Duke University. She is committed to promoting solutions to energy poverty in developing nations. As a master’s student in the Nicholas School of the Environment, she focused her studies on international energy poverty and renewable energy. Hannah recently served as the Program and Development Fellow for Empower Generation, a social enterprise supporting a women-led renewable energy distribution network in Nepal. For three years prior to Duke, she worked to encourage energy efficiency and renewable energy policies alongside the Midwest Energy team at the Natural Resources Defense Council. Hannah holds a B.A. in International Studies and Political Science from Loyola University Chicago and a Master’s of Environmental Management from Duke University.